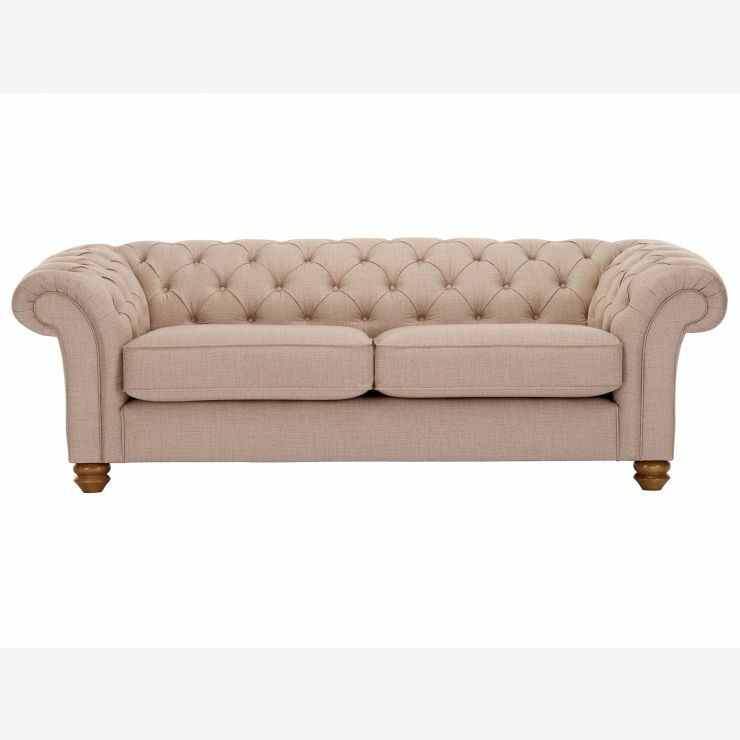 Our 3 Seater Chesterfield Sofa is a modern take on the classic Chesterfield shape, with hand tailored buttoning and delightful scrolled arms that make a statement in any living room. The deep seat cushions are pocket sprung for a firm, comfortable sit with excellent shape retention, and the foam-filled arms and back help this large sofa to maintain its shape while being cosy and supporting, too. We use the highest quality construction techniques and materials to ensure your large sofa will last for years to come.Hardwood is used in the frame, and joints are screwed, glued, and pinned for added strength and durability. Available in a range of fantastic colours in our great upholstery fabrics, you're sure to find a look you love in our Chesterfield range.